K.Balachandar is known for directing movies with a punching story line. To best of my knowledge he is the only director who makes the viewers think. K.B. has proved that even with a very thin storyline he can take the viewers by strom in the movie Thillu Mullu. The dialogs are not by his "Asthana Vidvan" Ananthu but by Visu. Those are the days Bells pant was at its peak. People with a huge bell bottom pavadai pant, kazhudhai kadhu collar tight half slack shirt with flowers on it and a pattai belt of width 2.5 inchs,hippi hair cut and a huge mouch were the youngsters of those days. Typical example is the dress that Rajini or Kamal wears in Ninaithale inikkum and the kind of dress/hair style that kamal wears in the song Germanyin senthen malare from the film ullasaparavaigal.Enjoy the Classic Comedy movie review. The movie starts with the song thillu mullu thillu ullam ellam...!The story is about a talented youngster who is none other than our thanga thalaivar super star Rajnikanth. The hero wants to enjoy life with his friends like our lollu boys. But those are the days when the Bosses used to be very strict and they expect employees to be very much disciplined. After completing his studies he is forced to take up a job as the family situation demands, it is the conventional Tamil Cinema centiment vayasukku vandha thangachi and fortunately vayasana amma and the brothers are missing in this movie. One of his family friends "Poornam" Viswanathan tells him about a opening in a company like Sun/Cisco/Microsoft owned by "Thengai" Srinivasan and he also tells him the expectation of the owner. Rajnikanth pretends to meet expection of the Boss by giving fake certificates that he knows C++,Java, Oracle, Corba,Blue tooth and what not. He gets the job. The real story starts when Thengai sees Rajinikanth in a football match. The trouble starts because Rajini asks his friend to make a phone call saying that his(Rajini's) sister is sick but that guy sodhapifies it saying mother is sick. And from that point Rajini claims that he has a brother who is good for nothing etc and builds a story on that. Then Thengai offers a job of a music teacher to his daugher for the fictious character for which Rajini has to shave off his mouche. And atlast because of a servant boy thengai comes to know the truth and starts chasing Rajini for cheating him and as usual the story ends with a subam and thengai accepts to give his daughter to Rajini. The imporant thing to be appreciated in this movie is the screenplay by K.B. He portrays thengai as a man with great values especially a man with a value story behind a huge mouche. Thengai is a man who believes that honesty should be there in every aspect. A man with a huge mouch will be very good at heart. Office things from telephone to stationery and even the lu should be used only for official purposes. He believes that a person working overtime is inefficient. His employees should respect elders and follow them without asking any question even if they are wrong! Last but not the least he is a great patriot. And Thengai has done a great job in this movie as per the expectation of KB. 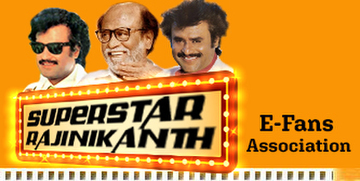 Rajinikanth has done a great job in this movie in fact this is the first movie in which he has acted without mouch. His name in this movie is "Ayyampettai" Arivudai Nambi Kaliyaperumal Chandran. And the name of the fictious character his brother without mouch is "Ayyampettai" Arivudai Nambi Kaliyaperumal Indran. The interview scene and the scene in which thengai describes Rajini in the football match was really great, the way Rajini portrays the situation and making it favourable was simply great. Thengai is no doubt a great artist. Priya, Krishnan Varuvan, Kasethan Kadavulada are few examples. In this movie he has done a great job acting as a man of values. His name in this movie is SriRamachandramoorty. Especially the story behind the mouche and the way he behaves with soukar janaki who acts as Rajini's mother saying that "Indha laddellam inga sapida koodadhu prasadama veetukku eduthuttu poi sapdanum enna idhu andha Mahatma Gandhikke samchu potta kai!" And in a party scene a person asks him "Sir whiskya Brandya" for which he retaliates saying "Nan Gandhi da" was great. Good Job Thengai. Though this character doesn't have any connection with the story(as if there is something). The trouble starts when the Servant of Thengai sees Rajini & Nagesh talking about aalmarattam and the meesai episode. While suggesting Soukar Janaki for acting mother of Rajini the way he describes Soukar was great. This female is hired by Rajni to act as his mother in front of Thengai. She has really done a great job. Especially when thengai sees her for the first time and asks her religiously Onga veetukku Mahathma Gandhi vandhu irundhappo enna senjarnnu sonnenga indha kadhu kulira kekkalam and for which she says enna senjar vandhodane sattaiya kazhatti coat standla pottar! Then Thengai asks Mahatmakku edhu sattai and she samalifing was great. And when thengai sees her in a party wearing a pattu saree and jewels all over her body like our foster mother and her close associate he gets shocked and wants to verify so he comes to Rajini's house and before that she enters the house from the back door and again a great samalification. Great job soukar. This column is not usually found in most of the LE reviews but this film deserves it. 1. The interview scene when thengai asks one candidate "Adhennai Bommai sattaila" and the candidate says with pride "Poonai Sir" thengai reacts saying "Adhula enna avlo perumai Get out" and comments "Nalla kamban koothadi madhiri dress". To another candidate he asks "Onga peru enna" for which he replies saying "Suppi Sir". Thengai gets irritated saying "Suppiyavadhu kuppiyavadhu Get out". To another candidate by name Subramanya Baradhi he gets up and says "Vanakkam thiru Subramanya Baradhi onga pera kettale porandha kozhandhaikku kooda sudhandhara dhagam edukkumnnu solvangale ongalukkum Baradhiyar madhiri kavidhai ellam ezhutha theriuma" the candidate says "Palakkam illenga". Thengai's facial expression for the word palakkam was excellent his face changes like a 3 year old kid while shitting in a place where it is not supposed to! Then he asks "Ongalukku indha zhanna varadha" the candidate replies saying "varum konjam kasta padum". For which again thengai reacts with a great facial expression. Then he says "nan solradha appadiye thirumba sollunga - Oru kattu sullila oru sulli kona sulli" for which the candidate says "Vendam sir risku". Thengai gets pissed off and says "zhanavum varadhu, shanavum varadhu, llanavum varadhu peru mattum subramanya baradhi neer avarukkum indha nattum periya dhrogam panreer aia". When the candidate comes out, Rajni asks him how was the interview for which he says "Aala theermanichuttangappa interview ellam sutha Eyewas". After this thengai asks his manager to continue with the interview that guy starts asking the prices of cigarettes which again irritates Thengai and asks both of them(Candidate & the Manager) to get out. Then comes Rajini with a kadhar dhothi for an interview! This scene cannot be further described in words You have to really watch it to enjoy it. I have watched this scene atlest 100 times(Sorry I don't remember the exact count each time I hire the cassette I keep it for 25-30 days and everytime I watch the movie I watch this scene alone 10-15 times)! I was the only customer for that video cassette and it was scratched only by me! 2. Rajini and his friends go in Gangs everywhere and even to the football match. Rajini wears a ballon around his head and dances pettai rapand in his usual style lights a cigratte thengai sees it, the facial expression of thenga in that scene was great. And next day the way Thengai describes the Football match in which he saw Rajini was simply great. He starts with saying was it fair for the refree to give penalty.....! 3. The way Thengai talks to Soukar Janaki with great respect thinking that She is an illitrate,Gandhiyavadhi and so on. And when thengai says "Pleasure is mine" she unconsiously responds saying "so is mine" and he gets shocked and again a great samalification. 4. The way fictious Rajini without mouch behaves with thengai calling him "he thottakkara on modhalai sriram irukkana.." was great he lights a cigratte in front of him. It appeared as if Rajini was taking revenge on thengai for the way he made him behave in the office. No doubt its an all time hit one can even get his own VCD for this because You watch it any number of times You won't get bored. This movie deserves morethan 95/100 and again Prabu has to decide on this.